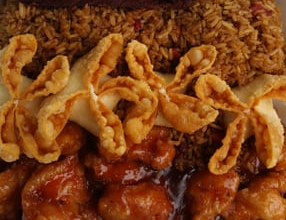 FRAMINGHAM – A long-time Chinese restaurant in Framingham will serve its last crab rangoons and chicken fingers tonight, Dec. 31. It will also mean there is just one establishment left at Nobscot Plaza – CVS. Sabrina Wong III will need to close today, Dec 31. 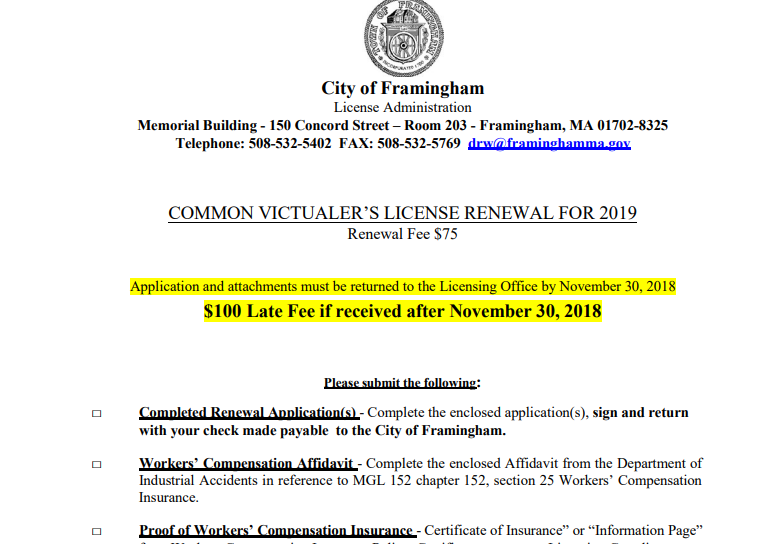 The establishment did not apply to renew its licenses with the City of Framingham for 2019, according to the City’s licensing administrator. As of 11 a.m., no application for renewal was submitted to the City. Under Massachusetts Law, every food service establishment in the city of is required to have a “common victualer” permit. Even if a permit is filed later today, Dec. 31 or when City Hall re-opens on January 2, there is no meeting currently scheduled for the Framingham Board of License Commissioners for January 2019 yet to approve the permit request. All establishments were asked to file their renewal applications no later than December 12. Sabrina Wong III has been in Nobscot for years. It has a good and bad history. For decades, the restaurant worked with the Framingham Police Association to provide meals on Christmas Day to those in need. But earlier this decade, the restaurant was in trouble with the Framingham Board of Health and the Town of Framingham Health Department with health code issues.